You don't have to be an expert to invest. You don't even need that much money to invest. Yet many of us put off investing because it's seems intimidating or overwhelming. 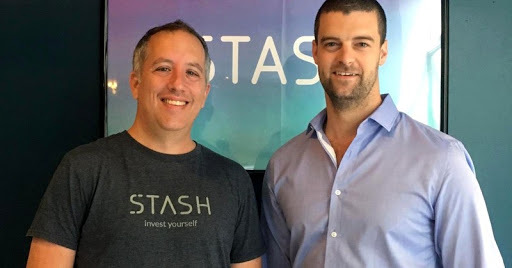 That's why Brandon Krieg and Ed Robinson walked away from six-figure jobs on Wall Street to launch Stash, an app that aims to make investing simple and accessible to everyone. With so much information out there, we asked the Wall Street veterans to simplify their top investing advice. "If you just look at history, one of the best ways to invest is to be diversified and really buy and hold for the long term," Robinson tells CNBC. Here's a closer look at what that means. Putting all of your eggs in one basket is risky. That's why Krieg and Robinson advise diversification, which means spreading your money out among different kinds of investments. If your portfolio is diversified, you're limiting the risk that any one investment will take a turn for the worse. As "Mad Money" host Jim Cramer told CNBC in 2014, "When you get too concentrated in one area, should something bad happen, you're going to want to throw yourself off a bridge because the losses will be enormous. However, if your portfolio is properly diversified, then you can handle just about any setback. You can even come back from financial disaster." Buying and holding is the way to go, Krieg and Robinson emphasize. This means thinking long-term and leaving your investments alone. They're hardly the only ones with that advice. Legendary investor Warren Buffett preaches, "If you aren't willing to own a stock for 10 years, don't even think about owning it for 10 minutes." Plus, "over-trading is the biggest mistake we see," Krieg says. While it may be tempting, especially under certain conditions, to sell an under-performing investment, stay the course. If you have a hard time staying focused on your long-term plan, avoid checking a stock ticker or your account on a daily or weekly basis. Markets go up and down every day, and so do individual stocks - but that doesn't mean your money shouldn't stay right where it is.